Last modified on Thursday, April 9 2009. 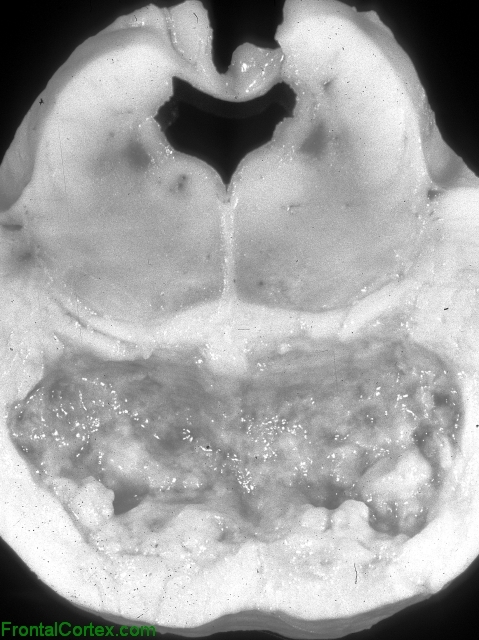 This is an axial section of gross brain through the pons. The lesion shown in this image is associated with which of the following clinical scenarios? This question was last modified on April 09, 2009.